Two fingerprints of Rembrandt, one of the most important and well-known Dutch artists of the Baroque period, had most likely left his finger print on an oil sketch from the 17th century. 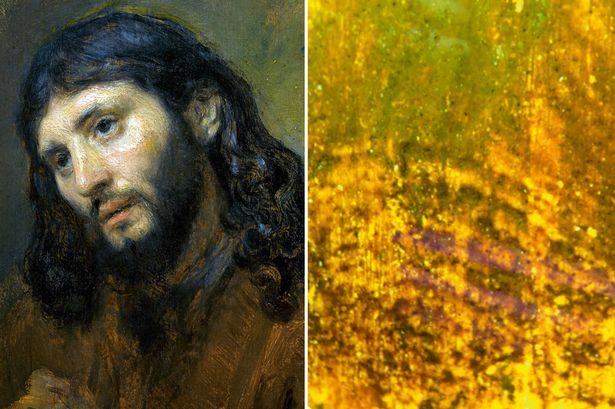 Experts found the thumb marks in the lower color layer during a restoration of the painting, which will be auctioned on December 5th. There are no other fingerprints of Rembrandt known and thus a comparison is impossible, said the auction house Sotheby’s on Wednesday in London. Due to the location of the imprints on the paint layer, the experts are nevertheless almost certain that they must come from the Dutch artist. The auction house is auctioning the only 25 centimeter large work “Study of the head of a young man”, which is to represent Jesus, on 5 December. The estimated price is six million pounds (equivalent to about 6.7 million euros). The picture is said to have been made around in 1650. The coming year commemorates the 350th anniversary of the death of the Master. For the first time in its history, the Amsterdam Imperial Museum will exhibit all works by Rembrandt (1606 to 1669) in his possession. The exhibition “All Rembrandts” is planned for spring and the start of the Rembrandt year. The museum houses the world’s largest collection of works by the painter, including The Night Watch.